Situated on the beach, this vacation home is steps from Golden Bay and Tata Beach. Wainui Falls and Abel Tasman Coast Track are also within 9 mi (15 km). 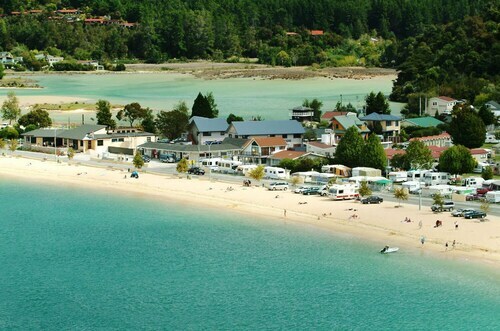 Situated near the beach, this spa hotel is within 1 mi (2 km) of Kaiteriteri Mountain Bike Park and Kaiteriteri Beach. 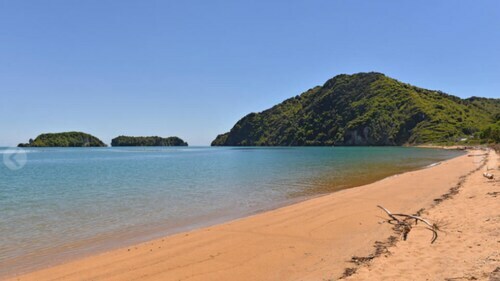 Little Kaiteriteri Beach is 0.3 mi (0.4 km) away. 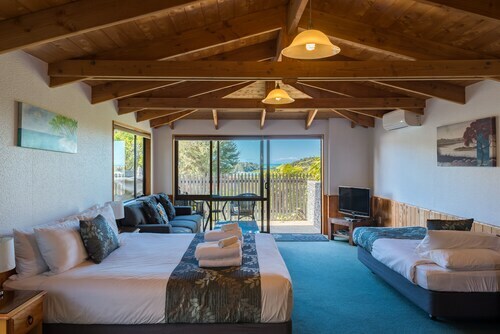 Situated by the sea, this lodge is steps from Kaiteriteri Beach and Kaiteriteri Mountain Bike Park. Marahau Beach is 5.3 mi (8.5 km) away. 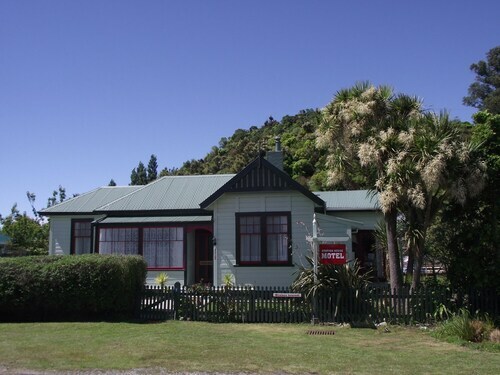 Situated in Takaka, this motel is 0.1 mi (0.1 km) from Golden Bay and within 6 mi (10 km) of Rawhiti Cave and Te Waikoropupu Springs. Kahurangi National Park and Tata Beach are also within 9 mi (15 km). If you've had enough of the rat race and are running away to Nelson - Tasman, consider selecting a happening place to stay within a 10-kilometre distance of Tata Beach. Wotif offers a limited range. Within 5 kilometres of Tata Beach's centre, you'll find the Sandcastle and The Bay Lodge. The Kaiteri Lodge is situated 25 kilometres away from the main part of Tata Beach. Another option is the Chalets @ Terraced Gardens, which can be found 30 kilometres away. Two more hotel options here are the Resurgence and the Peppers Awaroa. After you've thoroughly explored Tata Beach, why not tour a bit more of the region? The South Island area has plenty of other attractions. Check out the old towns, cathedrals and art museums in South Island, or simply admire the area's beaches, coastal plains and forests. Travellers in this region of New Zealand commonly enjoy snowboarding, skiing and mountain biking. 35 kilometres from Tata Beach you'll find Motueka, where you can enjoy the Kaiteriteri Beach and Motueka District Museum. 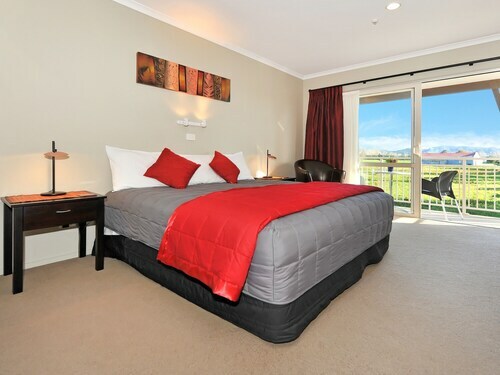 Motueka hotels and accommodations include the Abbey Court Motel and Avalon Manor Motel. 60 kilometres to the southeast of Tata Beach, you can also stay at Nelson, home to the Pancake Lodge Motel and Balmoral Motel. If you're staying in Nelson, set aside some time to check out the Botanic Gardens, Christ Church Cathedral and Founders Park. Nelson Airport is 60 kilometres from the centre of Tata Beach. If you choose to stay nearby, you can easily secure a night at the Kershaw House Boutique Accommodation or the Oxford Court Motel. How Much is a Hotel Room in Tata Beach? Hotels in Tata Beach start at NZ$100 per night. Prices and availability subject to change. Additional terms may apply. It’s an awesome location. Perfect for my course and really close to the beach and shops/cafes. Highly recommended and hope to stay there again next year. First class shared kitchen, dining, lounge plus the entertainment room with masses of DVDs. Peaceful and quiet. Great breakfast.